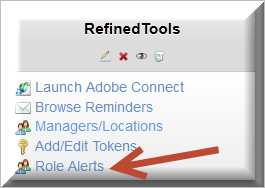 The Role Alert feature notifies an administrator when a user has been assigned a system role on the Refined Training platform. This notification allows the administrator to authenticate the user prior to granting permissions on the platform. To start off you first must create the Refined reminder that will be triggered when the alert is sent. It should look similar to this message and include the tags. Enable HTML editing to wrap the link associated with the word “here.” The link should be: <a href=”[[roleverify]]”>. This tag "roleverify", like all Refined Tags, is translated into specific site details when the link in the reminder is launched. 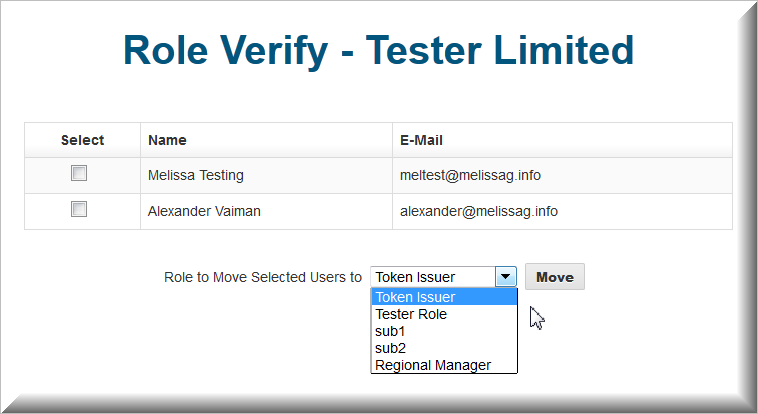 This link will automatically direct the administrator to the Role Verify page on the LMS to grant the user a confirmed system role. 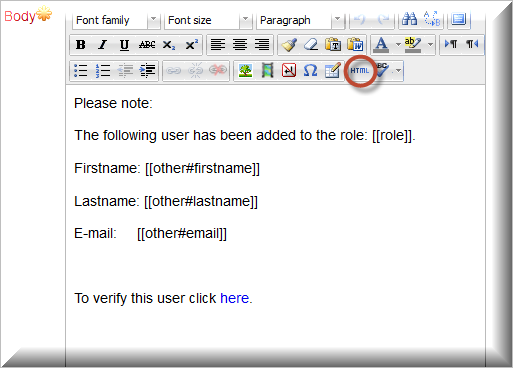 When a user is added to the LMS with a given role (or an existing user is assigned to a role), the designated administrator will receive the notification that the user was added to the role. A separate email goes out for each user assigned to a role when an alert is created, even if multiple users are assigned at one time. If the user should not have the role or any of the other roles available in the drop-down menu, the administrator can go to Site Administration >>>Users >>>Permissions >>>Assign system roles, click on the role to which the user was assigned and remove the user from the role. Note that, while any authenticated user can be designated to receive the notification and to verify the role assignment, only a system administrator can remove a user from the role assigned. For sites that use sub-domains, when users create an account via a sub-domain they will be assigned a specific sub-domain role. 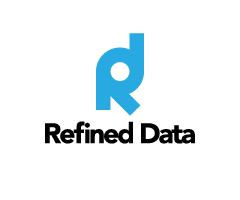 Contact your Refined Training Specialist to inform them about the pending role and the actual role; they will set up the database so that users are not put back into the pending role each time they log in. Do this for every new sub-domain or role that you are using. Whichever way is used, the person designated to receive a notification will receive a message advising them about the role assignment.